New York is famous for being a major center for the planet, which means that it is also a major center energetically. Let's start this journey with this 6min video by Secrets in plain sight. 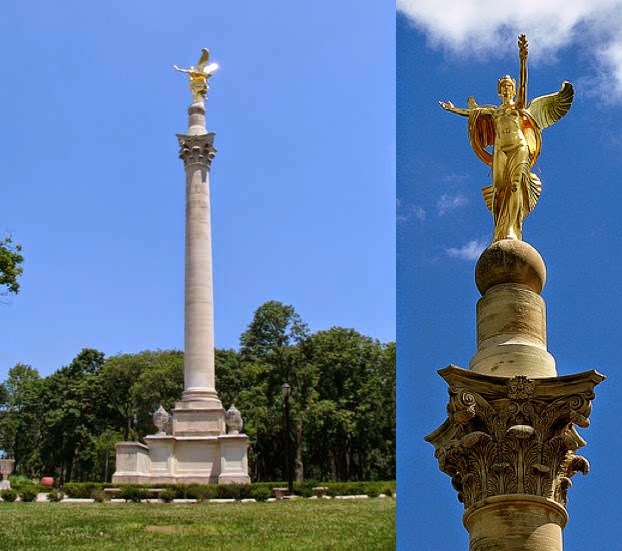 Let's remember these two sites : cleopatra's needle obelisk in central park, and the statue of liberty. The UN headquarters is another interesting site discussed in part 2 of this video. Another site is 432 Park Avenue, discussed in this article. As you can see in this previous link and also in this one, 108, 216, 432, 864 are part of a cosmic doubling sequence found all over the cosmos. 432 is also the proper tuning for music, click here if you want to learn how to easily tune any music to that frequency. Other major sites in NYC i have noted are : the world trade center location, with the newly built 1776 feet high one world trade center and the two pools that replaced the two destroyed towers, union square, the main masonic lodge of the state of NY on 71 west 23rd street, and times square. Then i went to look for major sites on Long Island. First, roughly at the center of long island, there is the brookhaven national laboratory, within which is the relativistic heavy ion collider, a particle accelerator used for quantum experiments, built as a hexagram within a circle. You can see it on top of this picture, along with a pentagram at the bottom called the national synchrotron light source II. Here we already have the famous 6 to 5 relationship, pentagram and hexagram, which can esoterically symbolize masculine and feminine. Then we have the camp hero military reservation in montauk at the tip of long island. There has been many stories about secret underground bases in these locations and other points of long island. This article here gives a glimpse of it, and shows another spot, the Shoreham nuclear facility. Researching the projects that have been going on in there can get very deep and confusing because of conflicting stories, but from what i'm seeing it involves distorting the quantum field and the time-space continuum for purposes of teleportation, time travel, weapons, mind control, etc. Click here for a database of research about this subject. This is linked to the famous philadelphia experiment about which you can read here. 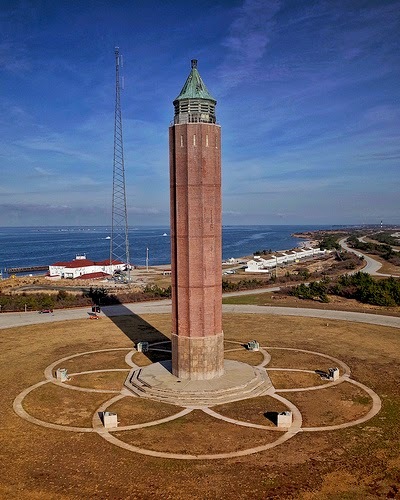 There is also an interesting structure fire island called robert moses water tower, again suggesting the masculine and feminine balance of fire and water. There is a 6 pointed star at its feet made of vesica pisces, basis for the flower of life. The 6 pointed star is also two interlocked triangles, as in a merkabah, in which one is masculine and the other feminine, again symbolizing balance. 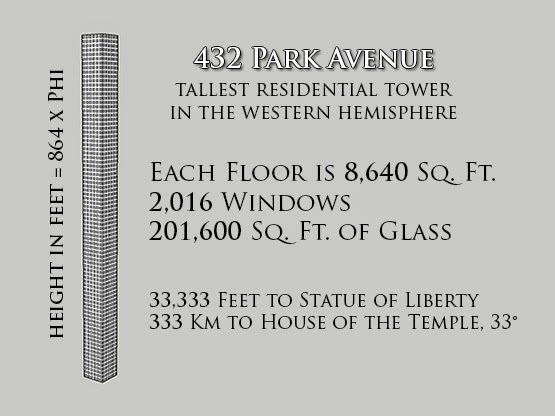 Scott Onstott pointed out in his 432 park avenue article that the distance from the statue of liberty's torch to 432 park avenue is 33,333 feet, which is also 10.16 km. The distance from the statue of liberty to the RHIC is 101.6 km, which is also 333333.333 feet. These two points are also in a straight line alignement with the montauk military base. The distance from the statue of liberty to fire island water tower is 66.6 km. As shown in the video above, next to the obelisk in central park, inside the metropolitan museum of art is the ancient egyptian temple of dendur, which is an Isis temple. The Jaqueline Kennedy reservoir aquaduct points directly to this temple and Jaqueline Kennedy actually hosted the opening ceremony for this temple, suggesting that she played the role of Isis. It's also shown in the video that the statue of liberty actually depicts Isis, so i checked the distance from it to the dendur temple : 6.66 nautical miles (NM is the unit used by planes and boats). The distance from the statue of liberty to the famous bull statue in front of wall street is 3.14 km, which is pi. The bull is yet another Isis symbol because of the taurus-venus connection, just like the $ sign of wall street, two I and two S (see this article about it). The distance from cleopatra's needle to the UN headquarters plaza is 3.33 km. The distance from the UN headquarters to to the main masonic lodge of NY is 1.11 NM. To the one world trade center 5.55 km. To the white house in washington dc 333 km. To union square 2.22 km. The distance from times square to union square is 2.71 km, which is the mathematical constant e, important in sacred geometry. The distance from times square to the main masonic lodge of NY is 1.11 miles. To 432 park avenue 1.11 km. To the one world trade center, 5.55 km. To montauk military base 111 nautical miles. The distance from 432 park avenue to the world trade center south pond is 6.66 km. To the south point of union square 3.33 km. The distance from the one world trade center to the montauk military base is 108 NM, a number in the cosmic sequence. To JFK airport main terminal building, 11.1 NM. To the statue of liberty 3.65 km, the number of days in a year. The distance from the tridents in the 9/11 memorial museum to the templar pyramid of the metropolitan museum of art near cleopatra's needle is 8.64 km, a number of the cosmic sequence. See this article and also this one to see some of the occult going on in the world trader center. It's also worth noticing that there's a satanic ritual going on in the rockefeller center ice skating ring, as spotted in this article. The distance from the rockefeller center ice skating rink to the south east point of the rockefeller university is 1.11 miles. A whole book could be written just on all the occult going on in new york in every street corner, so i'll move on now to the long island connections. The northern masonic lodge is on 312 main street in port jefferson, the southern is on 114 montauk highway in westhampton. Its name is a reference to the winged victory statue of Samothrace which represents the greek goddess of victory, Nike. This masonic lodge in between JFK airport and the RHIC is at an equal distance of 22.22 NM from both of these points. So then i checked the philadelphia experiment locations. As i mentionned earlier, this experiment is linked to the long island secret facilities. The experiment on the boat started in the philadelphia navy yard, 222 km away from the RHIC. The boat then disappeared and teleported to the norfolk navy yard, 333 miles from the RHIC. The norfolk and philadelphia navy yards are both 222 miles apart. It's an almost exact pythagorean triangle, which simply means that it has one right angle of 90˚, in this case at the rhic angle. On the left you have phi, pi and e. The right side picture shows how, from a pythagorean triangle with sides measuring 3, 4 and 5 (in green on the picture), it is possible to deduct the true proportions of the earth, moon and pyramid of giza in this beautiful relationship, also encoding a square and a circle of equal length, again symbolizing the perfect balance of masculine-feminine polarities. So then i extended the line going from the montauk base through rhic. 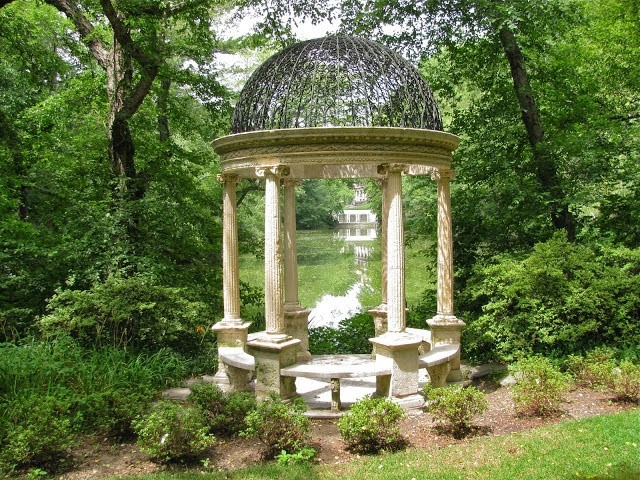 It connects with the other end of the triangle exactly at the mid-point of the Appalachian mountains. This mountain range extends from Alabama all the way to New Brunswick in east Canada, and if you research Appalachian mountains in google map it will take you exactly to this mid-point. 271 is recalling e, and 161 is recalling phi. Most of the pythagorean triangles are not 100% exact, meaning the right angles are 90˚ plus or minus 2-3 degrees, but it's close enough to generate the energy of the symbol, especially if you consider the curvature of the earth and the size of an energy vortex. The washington masonic memorial (a replica of the lighthouse of Alexandria in Egypt situated in a suburb of washington called Alexandria), is not exactly on the CN tower-Norfolk navy line, but just a few blocks away. 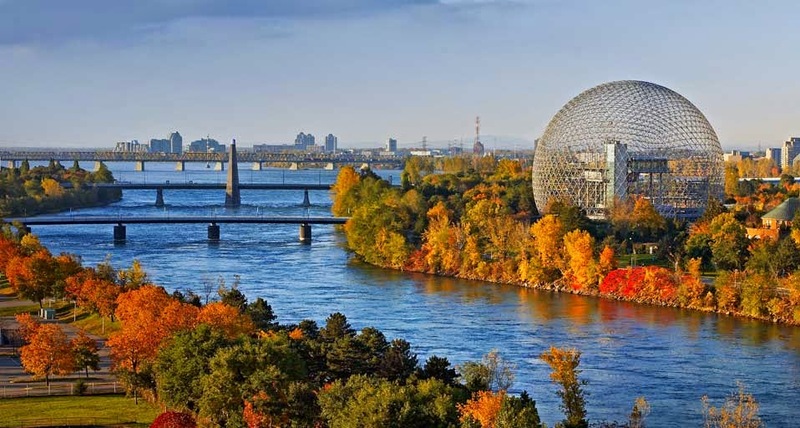 We have a distance of 555555.555 yards, which is also 1666666.666 feet, from the CN tower to the southern tip of notre-dame island in Montreal, from the montauk base to the southern tip of notre-dame in Montreal (99.3 % exact), and from the washington masonic memorial to the montauk base. So we can see that these montauk, rhic and philadelphia experiments are not just scientific, but also placed very strategically on energetic points for occult purposes. Whatever happens on an important vortex will spread out into the earth energy grid and therefore affect the whole. This journey took me even further when i looked into the cleopatra's needle connections. As explained in the video above, that pair of obelisk was originally mined in Aswan in south Egypt and placed in heliopolis, around 1450 BC. They were then taken to Alexandria around 12 BC, and then one of them was taken to London in 1878, and the other one to New York in 1881. I then drew a line from the Heliopolis obelisk to cleopatra's needle back in new york, but did not find any specific alignement. So i drew a line from Heliopolis to the washington monument in DC, another obelisk near the white house. The distance between the two is 5055.55 NM. 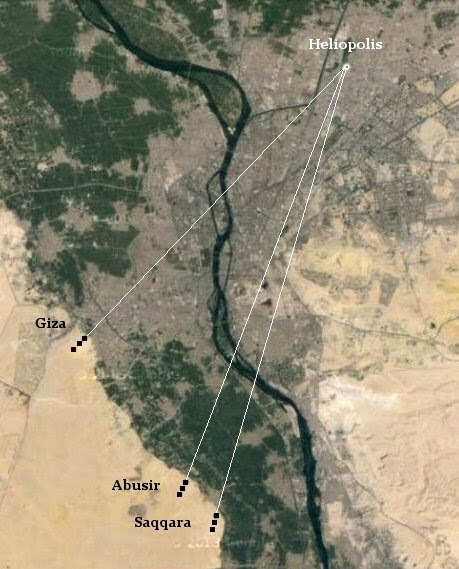 The alignement is not exact starting from the Heliopolis obelisk, but since it used to mark the entrance of a big temple, and since there were many other important spots in Heliopolis, i looked for other spots nearby. It seems that the line is shooting out of the all seeing eye of the pyramid. It then goes through long island, exactly through the Shoreham nuclear facility and the masonic lodge in deer park. Then it goes through the philadelphia navy yard where the philadelphia experiment started, and all the way to the washington monument. Also worth mentioning, it is well known that the three pyramids of Giza are a mirror of the belt of Orion. The belt of Orion is poiting towards the pleiades in the Taurus constellation, just like the pyramids of Giza are pointing towards Heliopolis. Exactly where the horns of the Taurus constellation would be, there is an island on the nile called warraq al hadar that seems to mirror the shape of the horns. In between the horns of the Taurus constellation there is a spot called the silver gate, which is where the ecliptic of the earth (the axis along the zodiac constellations) meets with the milky way. It is a stargate transmitting cosmic energies through this galaxy (see this article for more info). This is therefore all perfectly placed since the ancient egyptians called the milky way the galactic river, and considered the nile to be a reflection of it. Update : More connections were made after i listened to an interview today by Preston Nichols, famous for his involvement in the montauk projects and his research on quantum electronics among other things. He now lives in a little town in the state of new york called cairo. That town is situated 222km from the montauk base, 111 miles from the statue of liberty, 2222 miles from area 51. 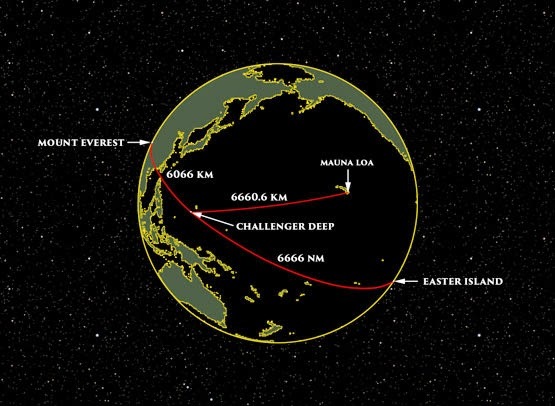 It is also situated 5555 miles from the pyramid of giza in cairo, egypt (99.95% exact). The line from cairo new york to cairo egypt goes exactly through rome in italy, and through the biggest neolithic site in the world in carnac, brittany, france. Preston Nichols says that tests have shown there are underground pyramids under cairo new york. Cairo new york is at equal distance of the CN tower in toronto and the washington masonic memorial, and a triangle between these three points has the same angles as the great pyramid of giza. It's in our hands to use these natural earth vortexes and universal symbols to infuse truth and harmony throughout this planet's grid. This is fantastic work and everyone, once they begin to reference your organized material will be very grateful to you. Great work that will provide a basis for many positive and enlightening outcomes. Thank you so much.